Among one of AILA's most active committees is its U.S. Department of Labor (DOL) liaison committee. While the committee does not address individual case resolutions, it does work with the different components of the DOL touching upon the various employment-based immigration benefits and processes. Having been a member on the DOL liaison committee for the past several years, starting this summer Vince has been appointed as the Vice Chair of the committee with a particular responsibility over the H-1B and PERM processes. Clark Lau LLC welcomes new team member Courtney Fields! Check out Courtney’s bio as well as the qualifications of the rest of the Clark Lau LLC team! We’re here to partner with you as you tackle your immigration needs! American Bar Association features Clark Lau LLC Attorney Erin Hogan’s article on achievement-based immigrant visas. The U.S. Supreme Court issued a decision on Monday regarding whether the temporary injunctions entered by the lower courts against Executive Order 13780, “Protecting the Nation From Foreign Terrorist Entry Into the United States,” commonly known as the Travel Ban, should be upheld. In short, the Supreme Court indicated the Travel Ban should not apply to individuals who have “any bona fide relationship with a person or entity in the United States.” The Travel Ban could however be applied to those without such a connection. Additionally, where the Executive Order suspended the U.S. refugee program, the Supreme Court is allowing those with similar bona fide relationships to enter the U.S.
What is considered a “bona fide relationship?” Our latest sources indicate that the agencies implementing the Travel Ban have been instructed that a bona fide relationship includes a parent, spouse, child, adult son or daughter, son-in-law, daughter-in-law, or sibling already in the United States. Grandparents, grandchildren, aunts, uncles, nieces, nephews, cousins, brothers- and sisters-in-law, fiancées/fiancés, or other extended family members do not qualify. Stay tuned. Please note that the above information has been provided for educational purposes, not legal advice. Please contact your Clark Lau LLC attorney to determine how this may apply to your specific situations. The U.S. Supreme Court issued a decision today regarding whether the temporary injunctions entered by the lower courts against Executive Order 13780, “Protecting the Nation From Foreign Terrorist Entry Into the United States,” commonly known as the Travel Ban, should be upheld. In short, the Supreme Court indicated the Travel Ban should not apply to individuals who have “any bona fide relationship with a person or entity in the United States.” The Travel Ban could however be applied to those without such a connection. Additionally, where the Executive Order suspended the U.S. refugee program, the Supreme Court is allowing those with similar bona fide relationships to enter the U.S. Similar to deciding other temporary injunctions, the Supreme Court had to weigh the following factors: (1) the likelihood of success of the challenge and (2) the harm that would be caused if no quick action were taken. Based on this balancing, the Supreme Court allowed only part of the Travel Ban to be enforced. This is a temporary decision and the Supreme Court has said that it will revisit this matter when it returns from its recess in October. Of legal note is that some members of the Supreme Court believed that the group exempt from the Travel Ban was too broad. The Supreme Court reasoned that a sufficient “bona fide relationship” must be similar to those held by the individuals who brought the lawsuits against the Travel Ban. Not those who are added onto client lists of non-profit organizations just to avoid the Travel Ban. For those who do not fit exactly into the examples provided by the Supreme Court, much discretion remains with the State Department as far as the issuance of visas and with the U.S. Customs and Border Protection officers at airports and borders as far as whether they would admit individuals. What is also unclear is whether there will be sufficient training for the implementation of the Supreme Court decision. Again, this is not a final order and it will not be the last that we will hear of this. The Supreme Court has issued a temporary decision and has indicated that it will revisit this in October. Should you have any questions concerning the above update, which should not be construed as legal advice, please contact Clark Lau LLC to see how this may impact your specific circumstances. Last night, members of the Clark Lau team joined thousands from Greater Boston area law firms in the 10th Annual Lawyers Have Heart 5K which raised close to $300,000 for the American Heart Association. This is the team's third run and we look forward to continuing our support in the years to come. Vince Lau joins Kate Wasylik and Sarah Peterson at the AILA Upper Midwest Chapter Conference and addresses the audience on the latest trends on the PERM process. The PERM process is the labor market test required of most employment-based immigration options. Clark Lau LLC Attorney Eric Lockwood speaks at the Massachusetts Continuing Legal Education 16th Annual Employment-Based Immigation Law Conference. Eric covered the basics and the more complex matters one encounters in seeking U.S. citizenship. Clark Lau LLC Managing Partner Vincent Lau just finished speaking on L-1 Blanket Petition trends and challenges at the AILA Rome District Chapter Conference in Brussels. Vince was joined by the Nonimmigrant Visa Unit Chief of the U.S. Consulate (Brussels) Kim Durand-Proud, Ellen Freeman of K&L Gates, David Grunblatt of Proskauer, and Dana Davidson of Davidson Law Group. The current H-1B program requires there to be (1) a U.S. employer; (2) a specialty occupation position, which is defined as a job that has duties that are so complex that normally a bachelor’s or higher degree in a specific field is required for the position; (3) a qualified beneficiary; and (4) a required wage, which is the higher of what the U.S. Department of Labor deems as the prevailing wage for the occupation in that area of employment or what the employer is actually paying similarly situated employees, including U.S. workers. The above has been provided for educational purposes only. Please stay tuned and we will keep you up to date. Please also contact your Clark Lau LLC attorneys if you have any questions regarding how this may apply to your particular situation. USCIS announced today that it received 199,000 H-1B petitions for Fiscal Year 2018. This is less than what was received last fiscal year, i.e., over 230,000. The number of visas available remains the same however. There are 65,000 visa numbers available for general H-1B petitions and 20,000 additional visas for those with advanced U.S. degrees. USCIS reports that it ran a computer-generated random selection process on April 11, 2017. Over the next few weeks, USCIS will be generating receipts for those petitions chosen for processing. Our office has also been monitoring whether USCIS has cashed any of the checks for filing fees associated with each particular petition. We have noticed that more and more checks are being cleared, but we caution assuming that a petition has therefore been selected for processing until an actual receipt notice has been issued. Please stay tuned for more updates. The above information has been provided for informational purposes only. Please contact Clark Lau LLC to see how this applies to your particular situation. On Monday, April 3, 2017, the United States Citizenship and Immigration Services (“USCIS”) started receiving H-1B petitions for Fiscal Year 2018 filed by employers on behalf of individuals who have never been in H-1B status, or whose prior employer was a cap-exempt employer, i.e., colleges, universities, and non-profit or government research organizations. There are 65,000 visa numbers available, with an additional 20,000 for those beneficiaries with U.S. advanced degrees. (Please note that 5800 of the 65,000 however are allocated to the H-1B1 program, reserved for citizens of Singapore and Chile.) Yesterday afternoon USCIS announced that the cap has been reached, i.e., more than 65,000 petitions (and more than 20,000 petitions for individuals with U.S. advanced degrees) were received. Last year, over 230,000 petitions were received within the first five days of filing. The rule is that if more petitions than the available number of visas are received, then a lottery will be conducted to determine which of the petitions will be processed. USCIS should be making an announcement regarding the lottery shortly. Stay tuned for more updates! Please note that this information has been provided for educational purposes only. Contact your Clark Lau LLC attorney regarding the specifics of your situation. 03/31/2017 - H-1B Petitions Ready to Go! USCIS will be accepting H-1B petitions for the 2018 Fiscal Year starting Monday, April 3, 2017 until Friday, April 7, 2017. Assuming they will receive more than visa numbers available (20,000 petitions for individuals with U.S. Master’s degrees and 65,000 “regular” petitions), they will be conducting a lottery soon after all of the petitions have been properly received. A special thanks to all of our clients who have worked with us to get their petitions ready to go! Good luck! Stay tuned right here for up to the minute news on FY18 H-1B Processing! Just hours before President Trump's revised Executive Order (Number 13,780, see Clark Lau LLC post on March 7, 2017), which restricts the entry of certain foreign nationals from certain countries and suspends entry of individuals from the US refugee program for specified periods of time, was to take effect, a federal judge in Hawaii issued a national temporary restraining order which suspends the implementation of the new Executive Order. The judge found that the arguments of those opposing the Executive Order had a "strong likelihood of success" and that "irreparable injury" would occur if the suspension was not granted. Managing Partner Vince Lau received an email from a friend and colleague Brian Eng in Portland, Maine just a few days after President Trump signed an Executive Order regarding travel restrictions. This ban impacted the daughter of an Iraqi translator; the family was trying to reunite with the daughter. Thank you for all your support! We remain dedicated to providing you with quality and responsive immigration solutions, for individuals and for employers. On March 6, 2017, President issued a new Executive Order entitled “Protecting the Nation From Foreign Terrorist Entry into the United States,” which essentially revoked his previous Executive Order 13769 issued on January 27, 2017. This new Executive Order seeks to address the concerns raised by the 9th Circuit Court of Appeals while continue to limit the entry of certain nationals into the United States. The new Executive Order becomes effective on March 16, 2017. The restriction will not apply to nationals from the aforementioned countries if (1) they are lawful permanent residents of the United States; (2) they are admitted or paroled into the United States on or after March 16, 2017; (3) they have documents other than a visa (i.e., advance parole document) that allows them to enter the United States if the documents are valid on March 16, 2017, or are issued thereafter; (4) they are dual nationals of another country and they are “traveling on a passport issued by a non-designated country;” (5) they are foreign nationals traveling on a diplomatic or diplomatic-type of visa; or (6) they have been granted asylum or have been admitted to the U.S. as refugees, or have been granted withholding of removal, advance parole, or protection under the Convention Against Torture. The Secretary of State, the Attorney General, or the Secretary of Homeland Security may also provide to the President the names of additional countries whose nationals may pose a threat to the security or welfare of the United States. On a case-by-case basis, a consular officer or U.S. Customs and Border Protection (CBP) may issue a visa, or permit the entry of a foreign national for whom entry has been suspended, if denying the entry would cause undue hardship, the entry does not pose a threat to the national security, and it would be in the national interest to allow the foreign national to enter the U.S. Foreign nationals who would be able to apply for case-by-case waivers to the Executive Order may include those previously admitted to the United States for “a continuous period of work, study, or other long-term activity;” those with “significant business or professional obligations;” and those seeking to visit or live with family. The travel of refugees to the U.S. under the United Sates Refugee Admissions Program (USRAP) will be suspended for 120 days after the Executive Order becomes effective, but this provision will not be applicable to those who have been formally scheduled to resettle to the United States as long as it is scheduled before the effective date of this new Executive Order. Only 50,000 refugees will be allowed to enter in the fiscal year 2017. Any immigrant or nonimmigrant visa issued before the effective date of this Executive Order will not be revoked pursuant to this Executive Order. If an individual’s visa was marked revoked or canceled as a result of the previous Executive Order 13769, the individual will be “entitled to a new travel document to enter the United States” and any prior cancellation or revocation of a visa solely pursuant to the previous Executive Order will not be the basis of inadmissibility for any future determination regarding entry or admissibility. The new Executive Order will not be applicable to those who have been granted asylum, a refugee who is already in the U.S., or an individual who is granted withholding of removal or protection under the Convention Against Torture. Please note that the above has been offered for educational purposes only. Please contact Clark Lau LLC to determine how the above may impact your particular circumstances. USCIS just announced hours ago that it will not honor any requests for premium processing of any H-1B petitions received on or after April 3, 2017. The suspension is reported to be “up to six months” and USCIS will notify the public when this suspension is lifted. USCIS reports that this suspension is to allow for the processing of backlogged H-1B cases. • Premium processing is the option for a petitioner to request that USCIS provide a response to its H-1B petition within 15 days of filing by paying an additional processing fee of $1225. • Any other H-1B petition, such as a change of employer or an extension, also will not be able to seek premium processing. • H-1B cap exempt petitions, such as those where the petitioner is a college, university, government research organization, or non-profit research organization, also are prohibited from seeking premium processing. • Premium processing for other eligible immigration benefits (e.g., L-1, O-1, TN, E-1/E-2, I-140 immigrant petitions, among others) will continue. 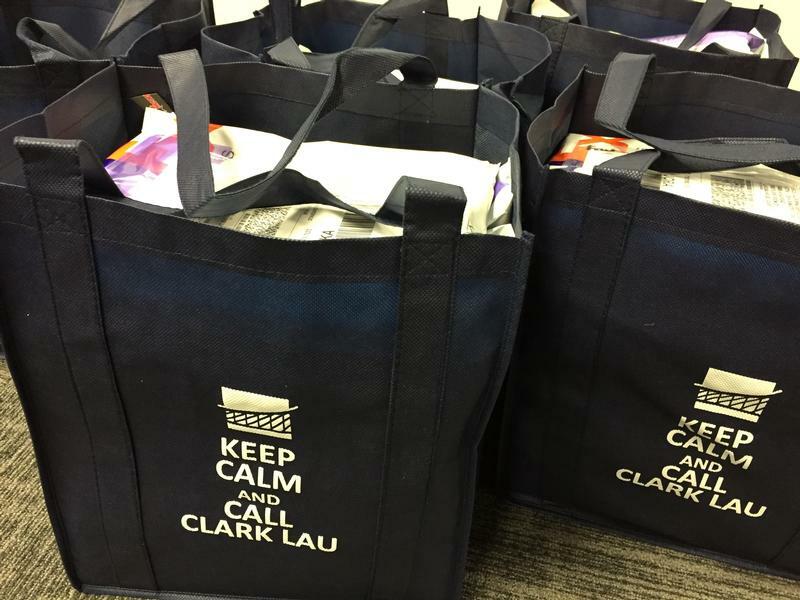 The above has been provided by Clark Lau LLC for informational purposes only. Please contact your Clark Lau LLC attorney to see how the above may impact your circumstances. On Friday, February 3, 2017, a federal court in Washington State issued a temporary order which prohibits the enforcement of certain provisions of the Executive Order signed by President Trump on January 27, 2017: refusal of entry of individuals from the seven countries; refusal of admission of refugees, including those from Syria; and allowing for prioritizing refugee claims based on certain religion. On Tuesday, February 7, 2017, the government argued to an appeals court that the Executive Order should be implemented and that the temporary order issued by the federal court in Washington State should not be honored. Just today, Thursday, February 9, 2017, the appeals court came back with a decision indicating that it was not convinced by the arguments of the government and the temporary order prohibiting the implementation of the Executive Order stands for the time being. Therefore, according to the temporary order, individuals from the seven countries (Iran, Iraq, Libya, Somalia, Sudan, Syria, and Yemen) with immigrant or nonimmigrant visas and refugees, including those from Syria, may enter the United States while the temporary order is valid. Please note that this is not the end. The government may seek an appeal or take other action to block the temporary order. The process continues; stay tuned! Please note that the above information has been provided for educational purposes only and is current as of February 9, 2017 and is subject to change. Please consult Clark Lau LLC regarding your particulars and the latest in developments before making any travel plans. On Friday, January 27, 2017, President Trump signed an Executive Order entitled, “Protecting the Nation from Foreign Terrorist Entry into the United States.” In the week that followed much confusion and complication have ensued for international travels. While matters are still in flux, and your Clark Lau team continues to monitor its latest developments, including a current federal court order issued by a court in Washington state that has national impact and that could be challenged, below are highlights of the Executive Order and some practical implications in regards to international travel. Please note that the above information has been provided for educational purposes only and is current as of February 6, 2017 and is subject to change. Please consult your Clark Lau LLC attorney regarding your particulars and the latest in developments before making any travel plans. Timing is everything. Congress sets a limit on the number of H-1B visas available each year. While the H-1B numbers for the next fiscal year do not become available until October 1, 2017, employers may file petitions to request numbers as early as six months in advance, i.e., April 1, 2017. As a result, we are writing to encourage employers to review their hiring needs and determine whether they should initiate H-1B processing for anticipated hires, or even recent hires in other nonimmigrant status now. This past fiscal year, we ran out of H-1B numbers within the first five days of filing! We anticipate that the numbers will run out in early April again this year.